Synagogue services, the words go together so well. It’s like they were made for each other. In our services you will find a little piece of home. 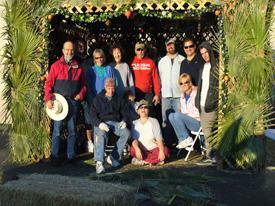 If you’re Jewish you will find plenty of familiarity; we’re Jewish people doing services like Jewish people do. You will also hear about Yeshua HaMashiach (Jesus the Messiah) in a low pressure in environment. We’re not here to coerce anyone to believe Yeshua is the Messiah or to say that they do. That is a decision that is up to each individual and we respect everyone’s rights. We don’t want to make you Jewish if you’re not, and we don’t want you to become anything but Jewish if you are. What we hope you find is that at our services the love of G-d and each other takes center stage. 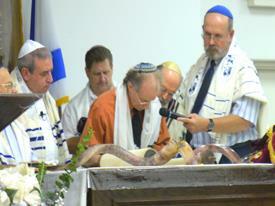 This is a traditional Torah service along with Scripture teaching, Israeli Davidic dance and worship. Special classes for children are held during the teaching time. The Kiddush is a part of the Shabbat morning service. Selected Saturdays – 6:30 p.m.